Width 5-7 cm | Also available in Peach, Dark Purple and Multicolour |Stretchable and adapt well to all head sizes.| One-of-a-kind! In the Amazon, you can find some of the world’s most colourful birds. For thousands of years, the indigenous people of Peru have been known to use their feathers to turn them into vibrant headdresses to celebrate life in all its beauty. Our upcycled one-of-a-kind silk Featherbandeaus were inspired by those vibrant creations. But instead of using treasures from far away, we decided to make our own forgotten ones breath new life. 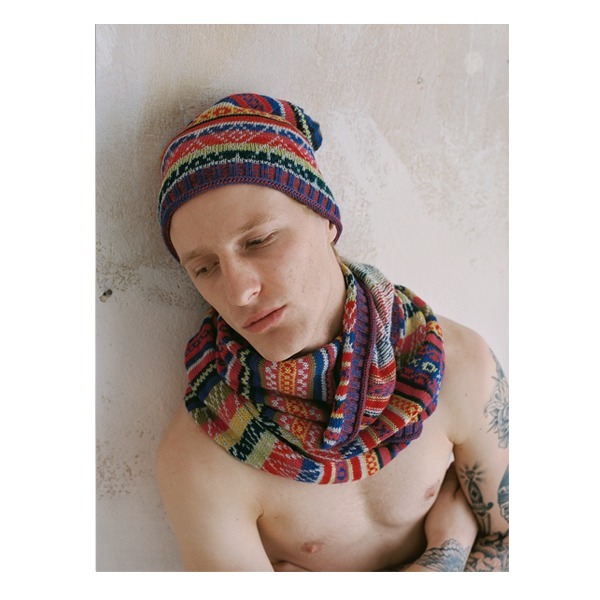 We handknit unused silk cloths with minor irregularities and secondhand silk scarves locally in berlin into new and unique hair accessries. The Featherbandeau is an easy-to-style elastic headband that adapts well to all head sizes. It comes with a width of 5-7 cm, this may vary.